Seat of Temporal Authority of Sikhism and the on of the takht is Takh Shri Damdama Sahib located in Bathinda in the state of Punjab, India. In the year the tenth guru, Guru Gobind Singh ji prepared the full version of the Sikh scriptures called Shri Guru Granth Sahib. On 18 November 1966, Damdama Sahib was officially recognized as the fourth Takht of Sikhism. On 30 July 1960, by General Meeting Resolution No: 789 Shiromani Gurudwara Prabandhak Committee(SGPC) appointed an sub-meeting on the demand of sikhs. A report of the sub-committee containing 183 pages was received to declare Damdama Sahib or Guru Ki Kashi as the fifth Takht of the Sikhs. A general body meeting of the Shiromani Gurdwara Prabandhak Committee at Amritsar approved the recommendations through resolution number 32 on 18 November 1966. It was declared as the fifth Sikh Takht by the government of India in April 1999 during tricentennial celebrations of the formation of the Khalsa. 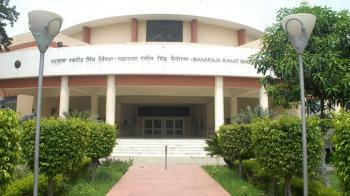 Pushpa Gujral Science City (PGSC) is located on Jalandhar Kapurthala Road. Its 15 KMs away from Jalandhar and 5 KMs from Kapurthala. It has been set up in 72 acres of land in the heart of Punjab. 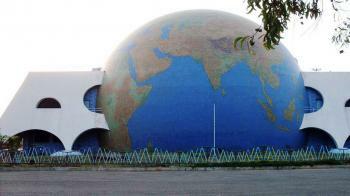 Pushpa Gujral Science City is named after the mother of former Prime Minister of India Shri Inder Kumar Gujral. It is the second largest science city in India. It is built with the aim of learning, fun and amusement out of Science for people of all ages. Science city is a place where science behind almost everything is explained in innovative method. Pushpa Gujral Science City is an ambitious project which deals with all modern aspects of science & technology and covers a variety of topics. This educational entertainment center is split into several sections, each focused on a specific scientific field of study. The biggest project of its kind in Northern India, Pushpa Gujral Science City is far more than being just a Museum or a Theme Park. It is intended to inculcate the scientific aptitude & temperament, to fire the imagination and creativity, foster the spirit of enquiry and exploration among the masses, especially in the young minds. The subject areas covered include physical, applied, natural and social sciences, engineering, technology, agriculture, health sciences, energy, industries, human evolution and civilization, the environment, ecosystems, Jurassic parks as well as frontier areas like space, nuclear science, information technology, robotics and Bio-technology. Ram Bagh, inside Summer Palace of Maharaja Ranjit Singh. Ram Bagh is located in Amritsar city, in the state of Punjab. It is a garden within the summer palace of the Maharaja Ranjit Singh. Today the palace has been modified into a lovely museum. This garden attracts a lot of tourists every year. It is popular as one of the best gardens in Punjab. It is not only a garden but a slice of the rich historical significance of city Amritsar. Maharajah Ranjit Singh is no more but his summer palace is still there to remind us of the glory days. The Garden is large and vast. It is built in the model of Shalimar gardens in Lahore. The garden is intersected by water channels fitted with fountains and golden fish. There are lots of plants and trees, some of them very rarely found anywhere else. You will have fresh air, good place to sit down and relax. The best time to come would be in morning or at the evening hours. There is a plenty of place for children to play and enjoy. It is a wonderful place to walk and relax in morning or evening in fact. 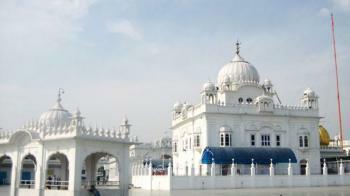 Gurudwara Fatehgarh Sahib is a sikh gurudwara which is situated in the Distt Town Fatehgarh Sahib. It is located about 5 km north of Sirhind which is a city in district Fatehgarh sahib. Gurdwara Fatehgarh Sahib is a complex consisting of several important gurudwaras linked to the younger sahibzadas (younger sons) of Guru Gobind Singh ji who was the tenth Guru of Sikhs. It is one of the peaceful place, one can easily feel the peace when they will enter the gurudwara. It is a place where the sons of Guru Gobind Singh Ji were produced in the court of Nawab Wazir Khan and then bricked alive. The place where they were martyred is now known as Bhora Sahib which is in the basement of the Complex. Every year in the month of December probably on last week, a fair organised at this gurudwara to pay homage to the martyrdom of Sahibzada Zorawar Singh and Fateh Singh. Gurudwara Goindwal Sahib is very famous Sikh holy place. It is located in Taran Taran district which is in the state of Punjab in India. It is an important center for the sikh religion during the Guruship of the Guru Amar Das Ji, who was the third Sikh guru. This Gurudwara is famous for its 84 steps and then there is a baoli (water body) at the end. The temple is a beautiful structure and also has quarters for guests to book and stay in. It has very clean facilities and very friendly staff. As I already told you inside the complex there is a well with 84 steps leading to the water. Devotees chant the Japji Sahib at every step and take a dip before moving to the next step because, it is believed that anyone who does Japji Sahab path on every step and then has a bath in the baoli (water body) will attain salvation. Tarn Taran is one of the most sacred places for Sikhs which is located in Tarn Taran, Punjab, India. 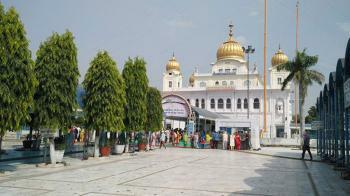 It is a very famous sikh shrine around 22 km away from Amritsar. 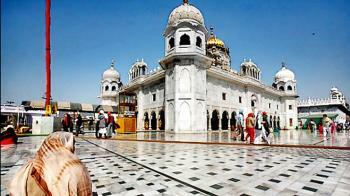 It is the only Gurudwara which is the replica of Golden Temple, Amritsar. This shrine has the largest sarovar (holy tank) among all the gurdwaras. 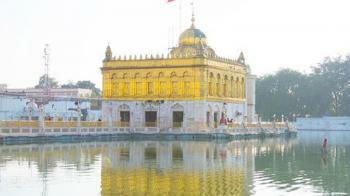 Its called the golden temple of tarn taran. It has the biggest PARIKRAMA in punjab as compared to the other gurudwaras. . It is famous for the monthly gathering of pilgrims on the day of Amavas (a no-moon night). There is a massive hall called Guru Ka Langar (Guru’s community Kitchen) where visitor of all castes and religion can enjoy Langar (free meal). It is a perfect place to visit if you are going with family. This is a Sikh’s temple but every religion is accepted here, anybody can visit here. 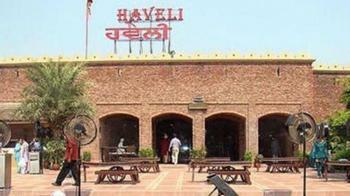 Haveli Restaurant Jalandhar, is located on the Jalandhar-Phagwara highway. This restaurant is spread over 23 acres, and resembles like a typical village of Punjab. This resort has the ambience of a lost Punjabi village and the waiters are dressed in tehmat-kurtas and phulkari jackets. Very good location and the building, remembering the old culture of Punjab and very good attraction for all including young ones and adults. In short I can say this is the place which reflects Punjabi tradition. This new age dhaba with a flavour of old Punjab is a completely vegetarian resort run by the Jains of Jalandhar. Haveli as a place was conceptualised by Mr.Satish Jain. During his childhood he saw the vast and rich culture of Punjab where guests at home were treated as GOD. Creating Haveli is his effort to keep the Punjabi tradition alive. He did a lot of research which has helped him to look into the finer details of everything from exquisite décor to delicious food. Baba Sodal Mela is one of the most important fairs in Punjab. It is organized in Jalandhar City to pay homage to Baba Sodal, a great soul. Jalandhar is one of the most important cities of the north Indian state of Punjab. Each year, the fair is organized in the month of Bhadon (September). The fair particularly takes place on the 14th day of Shukal Paksh . This fair attracts thousands of pilgrims from all over the country, who come and pay tribute to the deity on this day. This fair is held for one day, during the early hours of the morning at the Samadhi of Baba Sodal, Jalandhar. It is a well-known religious fair, which is attended by the numerous pilgrims especially women. 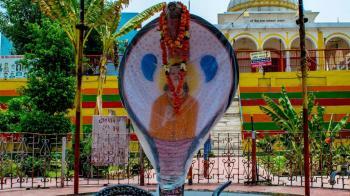 There is a holy tank nearby the Samadhi, which is called the 'Baba Sodal da Sarovar’. Pilgrims sprinkle the holy water from this tank on themselves. Jalandhar is one of the prominent tourist destinations of northern India. It is located in centralized place which is reachable from every corner of the Punjab State. There any many tourist places laid down in this city. 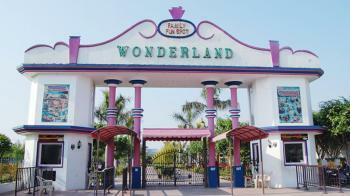 One of the Popular entertaining place for tourism is Wonderland. Wonderland is amusement park that spread over 11 acres, is located about 6 km from Jalandhar bus stand and 8 km from the railway station on Nakodar Road. Its a adventurous and fun loving place which is one the best place for enjoyment for one day outing for the entire family with thrilling rides, water games and many more. So many things to do like water rides, aqua dance floor, Bumper Cars, Discotheque, Boat Club, Rambo Train, Play house, Jurassic coaster etc. There are total 30+ water rides in wonderland, which are of super-fun and highly secured. This place will give you an awesome day in a water-park. The entire park is fully maintained and has high security. This place is for everyone for child, youngsters and old aged people. There are special discounts for students. Water-rides, pool, food, halls are the special attractions of this place. Amritsar is very famous for its Food. A visit to Amritsar invariably includes two things—paying your respects at the Golden Temple, and gorging on all the delicacies the city dishes up. 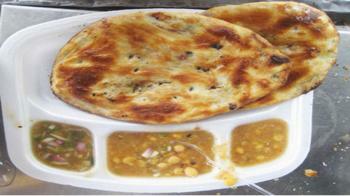 Kulcha Chole is a traditional Punjabi food and 'Kulcha Land' is famous for this food. If you are looking for mouth-watering authentic kulchas, then i would recommend you for this place to go. Because they provide Tasty, delicious and pure authentic taste of kulcha channa. Located at a prime location with nice setting which is more than expected from a kulcha outlet.The Kulchas are amazing and this place and is highly recommended. Amritsari's love to eat Aaloo Wala Kulcha (Local Name) Amritsari Naan (Out Station Name). Amritsar is famous for food and foodies. If you get a chance to visit Amritsar, I must say try lassi of Gian Chand Milk Bhandar . It is a name of the shop that is very popular in Amritsar also known as Gian Chand Lassi Wale. Gian Chand Lassi wale has been family owned and operated in the Amritsar Area since 1937. They are very famous in Amritsar and you will be taken to this shop by any auto rikshaw or any other resources that are available to travel in this city. 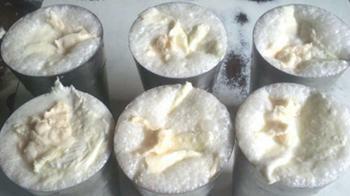 Taste of their lassi will surely take you to calmness. Lassi is a most popular and traditional drink. Lassi also known as salted lassi or, simply lassi is a traditional magical beverage sometimes flavored with ground roasted cumin while sweet lassi on the other hand is blended with sugar instead of spices. Durgiana Temple is an important religious pilgrimage of the Hindus in the Northern India. 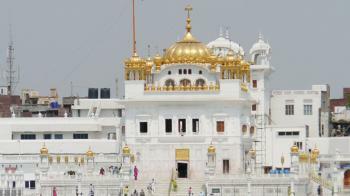 It is Located in the Holy Amritsar City of Punjab. Pilgrims flock to this temple not only from India but also from abroad. The complex is popularly known as the Durgiana derives its name from the Goddess Durga. Lord Krishna as well as Lord Vishnu is also worshipped here, along with Goddess Durga. The temple has a dome and tank as its prime possession, which is considered sacred by the Hindu followers. This temple often called the Silver Temple because of its exquisitely engraved silver doors. The local devotees of Amritsar come to offer their prayers to holy Goddess Durga on a regular basis. 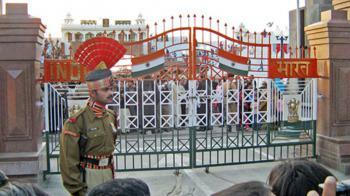 The Wagah border is a post between India and Pakistan. Wagah is the border that lies on the Grand Trunk Road between the cities of Amritsar in Punjab, India and Lahore in Punjab, Pakistan. It is the only road border which crosses between India and Pakistan. The border is at a distance of 20 kms from Amritsar and 22 kms from Lahore. On the only road link between the two neighbours. Here the border is marked in white as it cuts across the historic Grand Trunk Road (GTR). The road has been closed for years now at Wagah by two metal gates, one on each country’s side. The two flag posts are located contiguous to the boundary line between the two gates. If you are visiting Amritsar, this place cannot be missed. 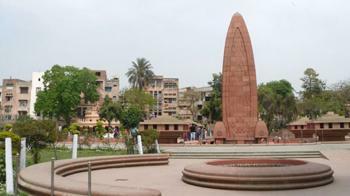 Jallianwala Bagh is a beautiful public garden that houses a memorial of national importance. Located in the vicinity of the Golden Temple, Jallianwala Bagh is one of the major tourist attractions of Amritsar. Jallianwala Bagh is witness to one of the most cruel massacres of the pre-Independence era, and hence has become the symbol of national importance and remembrance. The Golden Temple, located in the city of Amritsar in the state of Punjab is the most significant place of worship for Sikhs. The Golden Temple offers a singular experience of faith, community and culture in the world today. If you are in Amritsar or you are going to plan to visit Amritsar then am sure that you would not miss the chance to visit Golden Temple. You can visit Golden Temple at any time. 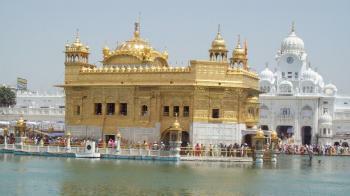 The four entrance doors of Golden Temple signifies that it is open for all. The person belonging to any religion can offer his/her prayers at Golden Temple. You have lots of religious places in India, But the kind of peace and cleanliness you find at the golden temple , you won’t find anywhere else. 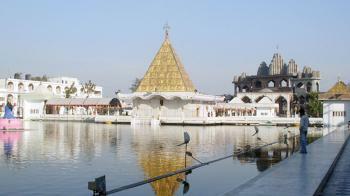 Devi Talab Mandir is the most prominent place/structure of modern Jalandhar City. It is dedicated to Goddess Durga and is believed to be at least 200 years old.This temple is located in the heart of Jalandhar, just 1 km away from the railway station. This is one of the most beautiful places in Jalandhar. You can experience complete sanity and relaxation. This temple has several temples of various Hindu gods.I felt really nice after visiting the temple. It is almost on the same model as the Golden Temple (Amritsar). They also have a large prototype model of the Vaishno Devi. A very popular temple known for its blessed water pond that is believed to heal all kinds of physical deformities. This temple is spread over large area , on of the most happening religious place in Jalandhar. one can see the imitation of Mata Vaishno Devi cave & shri Amarnath Cave here . 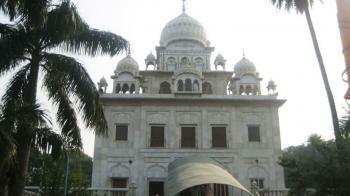 Gurudwara Dukh Niwaran Sahib is located in the small village of Lehal which is now a part of Patiala City. According to Local tradition, One Bhag Ram, a villager of the jhivar caste from Lehal village, went to the nearby town of Saifabad (now Bahadurgarh) to meet the visiting Sikh Guru Teg Bahadur. The reason behind it was, on those days people of Lehal village was in a deep trouble with sickness which had been plaguing the village from a long time. Bhag ram visited to Guru Teg Bahadur ji and requested them to visit and bless Lehal Village so that its inhabitants could get rid of a mysterious sickness.Shortly thereafter, The Guru Teg Bahadur Ji, visited Lehal on 24 January 1672 often sat meditating and preaching under a banyan tree by the side of the village pond. By the Grace & Ashirwad of Guru Ji, The sickness in the village vanished.The place where the Guru sat came to be known as Dukh Nivaran, meaning the eradicator of suffering. Devotees have great faith in the healing qualities of the water in the Sarovar (Sacred Tank) attached to the Shrine.